We have imported Dogs to provide excellent Family pets,and some times with approval sell for breeding purpose to well established Breeders. 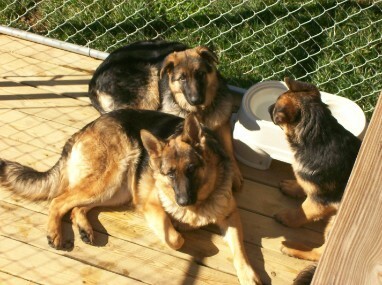 The German Shepherd Dog is hailed as the world’s leading police, guard and military dog, however, this dependable breed is more than its 9-to-5 job. Consistently one of the United States’ most popular breeds according to AKC® Registration Statistics, the German Shepherd Dog is also a loving family companion, herder and show competitor. The breed is approachable, direct and fearless, with a strong, muscular body. 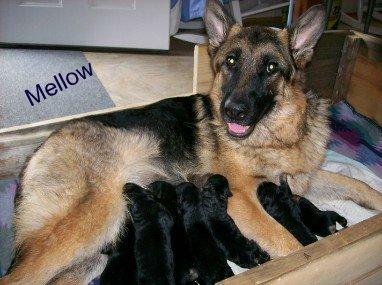 The GSD may be most colors, but most commonly is black and Red or dark Tan.NO light colors.